Re: any thought on my build? That is an absolutely amazing build you've got there! At least twice as good as my current computer, I'd say I'm no expert on building computers, but this one seems like it'll last for years to come! Do you have any pics of the computer itself? I'm personally not into fancy cases, but I know many pc builders are, so who knows! Quote from: Mumbling on April 13, 2019, 01:37:39 am That is an absolutely amazing build you've got there! At least twice as good as my current computer, I'd say I'm no expert on building computers, but this one seems like it'll last for years to come! Do you have any pics of the computer itself? I'm personally not into fancy cases, but I know many pc builders are, so who knows! Edit by Mumbling: fixed the image size to fit better on screens. Quote from: Mumbling on April 13, 2019, 12:19:42 pm Pretty sweet! Everyone else have these sick computers and I'm stuck with mine. Makes me more than ever to build my next computer rather than buy it from a store. 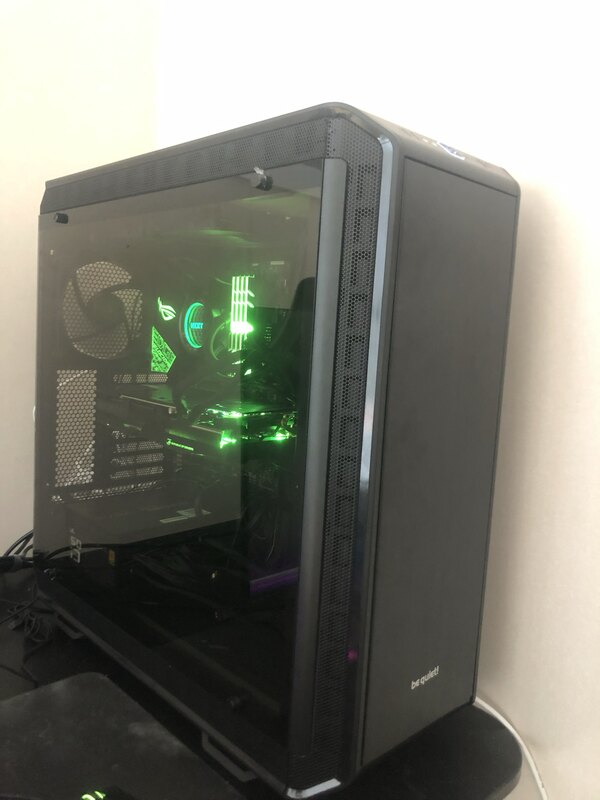 Quote from: Anagnos on April 14, 2019, 02:30:29 pm Everyone else have these sick computers and I'm stuck with mine. Makes me more than ever to build my next computer rather than buy it from a store. Ofc its a nice and interesting process you won't regret it! Started by Midnight on It's Party Time!